Innovation and a commitment to product development are important characteristics of Gem pack. Every customer can have packaging solutions developed to meet the requirement of international organizations, governments and individual specifications. 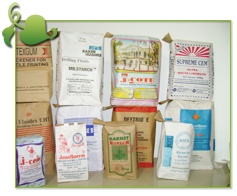 Gem pack papers sacks are capable of carrying anything from 5 kg to 50 kg loads. The stickiness of the customer is important. Every time the customer spends money on your product category you want her to spend it on your brand. Priya Events would device and customer loyalty programs that are fresh and exciting. These will ensure that you engage your customers with you brand and the customer get and tremendous value being loyal to your brand. Human Resource is essentially people; and people have inherent need to get appreciation on their efforts. In another words, Recognition makes People Happy. Culture of Recognition is all about encouraging all the employees to acknowledge, applaud day to day efforts of Peer groups, Superiors or Team Members. Consumer Behavior is the study of individuals, groups, or organizations and the processes they use to select, secure, and dispose of products, services, experiences, or ideas to satisfy needs and the impacts that these processes have on the consumer and society. Special discounts, complimentary rooms, news and invitations to the hottest events in town and a whole lot more. ideal for rewards or discount programs. These programs enable you to produce incremental sales and offer an enhanced and personalized buying experience. Customer loyalty platforms Customer relationship programsAffinity programsPrivileges programs A well managed customer loyalty program can increase value from existing customers to up to 95% Accentiv' helps you identify your most valuable customers and then partners with you in generating incremental, long-term value from them. 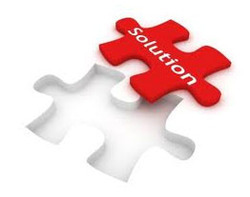 We interact with customers, internal teams and sales channel managers to come up with a robust program concept. Further detailing of program rules, processes, metrics, and budgets will then follow. - Automatic SMS to customer. - Member ship swapping card system. Understanding the behavior and attitude of the customers helps pave the way for a customer relationship to become a commitment. And when a customer is committed to a brand, purchase becomes almost instinctive thanks to unwavering loyalty.